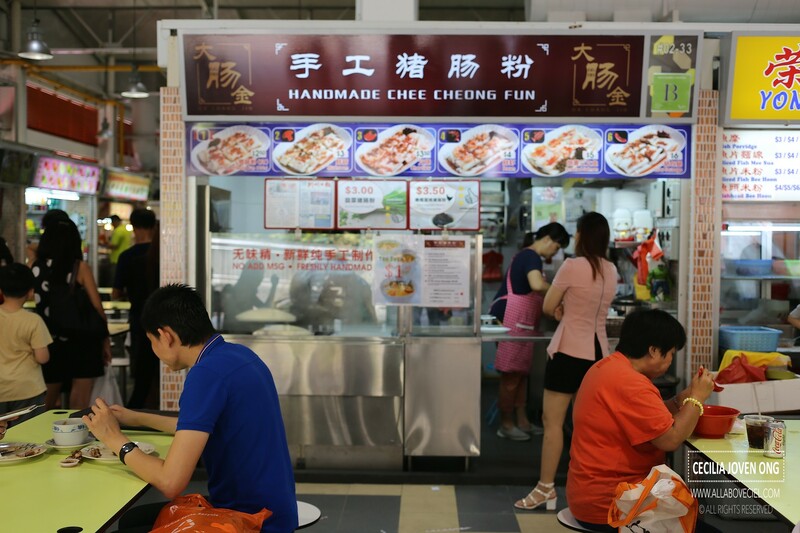 I observed this stall from a far while eating my Char Siew & Sio Bak rice from another popular stall in this food centre at a table directly facing this stall. I decided to give it a go when done with my plate of rice with a bit of space in my stomach for something extra. Though there are other choices as filling but i decided to go with Char Siew for $3.50. 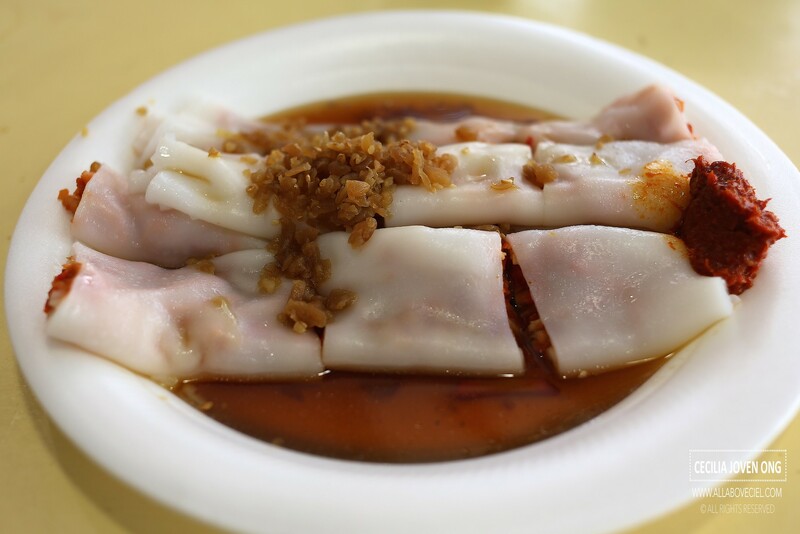 It was done fresh right at the stall from preparing the rice flour sheet, steamed and rolled it then adding those bits of char siew. It was then served in a pool of light tasting soya sauce and topped with a handful of preserved radish and chilli by the side. 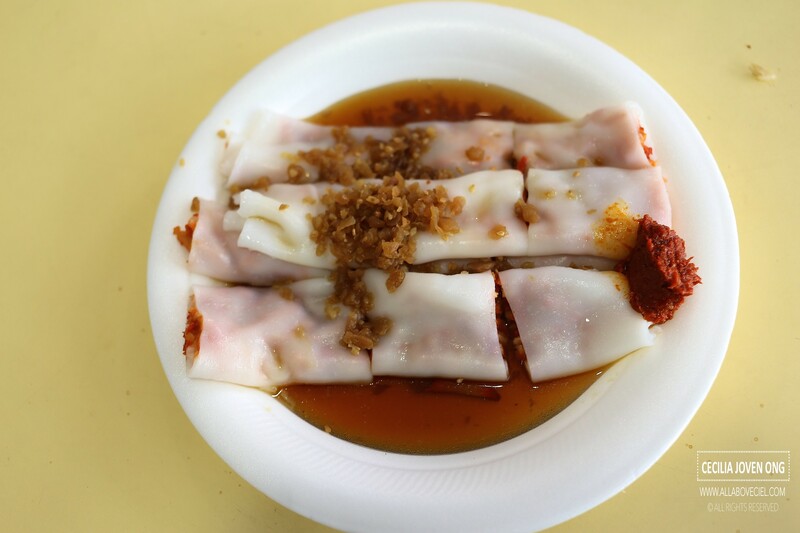 This was the first time that i came across preserved radish to serve with Chee Cheong Fun, this is definitely something new. I was excited at first but the excitement was short-lived, i did not quite like what i just tasted as i felt the saltiness of preserved radish did not have any particular effect in enhancing its overall taste. It was just not my kind of thing. 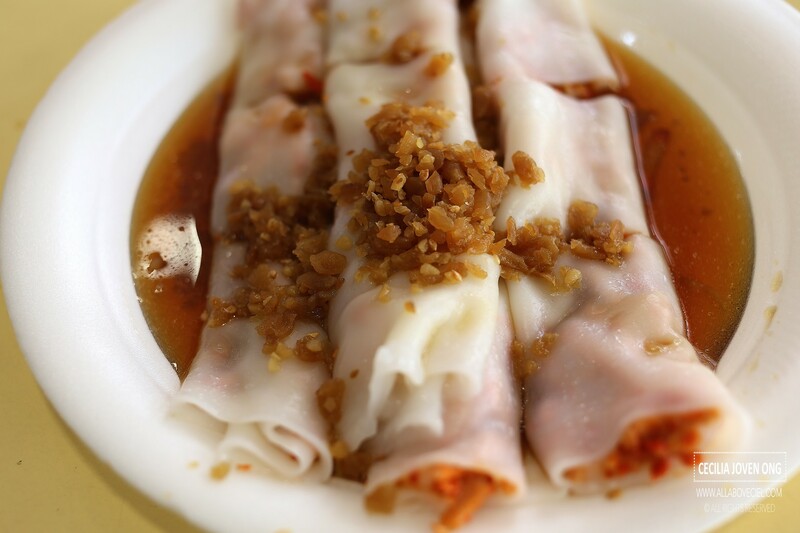 The texture of rice flour sheet was smooth with a desired softness and not too thick as well. The generous filling of char siew was rather moist and quite tasty. The chilli was alright with a nice hint of spiciness to give the dish a nice kick. Overall, it was not too bad but not good enough to leave an impression.